Badfinger always drew from a wide variety of styles, and nowhere is that variety in as sharp focus as on Badfinger and Wish You Were Here. “They were bursting with ideas,” Matovina says. 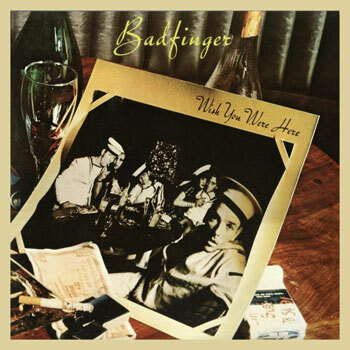 “They could have gone in almost any direction.” The latter album’s “You’re So Fine” (misspelled on every release until now) shows Badfinger’s country-rock side, while “Matted Spam” has funk and soul textures (“Chris brought in saxophone player Jim Horn,” Matovina says). And the pair of medley/suites on Wish You Were Here (“In the Meantime/Some Other Time” and “Meanwhile Back at the Ranch/Should I Smoke”) are ambitiously progressive. Each of the two album reissues features a new track. 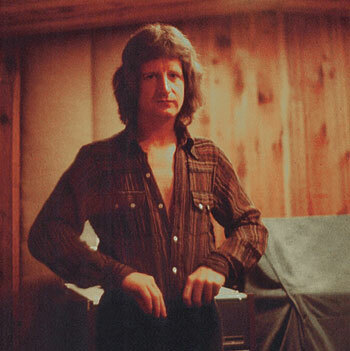 Badfinger’s “Love My Lady” and Wish You Were Here’s “Queen of Darkness” are both written by Tom Evans. “Chris told me that there was never any favoritism shown toward any one member’s material,” Matovina says. The two Evans songs simply didn’t make the cut in an era when an album’s length was typically limited to 44 minutes. Recorded interviews of Badfinger from the Warner Brothers era are rare, but the documentary nature of the band’s songwriting often gave the clearest picture of its members’ emotional state. “The song lyrics jump out at you,” Matovina says, citing Molland’s “Got to Get Out of Here” on Wish You Were Here as one of many examples. Other than the four band members, producer Thomas and engineers Phil Chapman (on Badfinger) and Jeff Guercio (on Wish), few others were involved in the primary sessions that yielded the two Warners albums. After Badfinger finished work on Wish You Were Here, Thomas and engineer Bill Price continued production at George Martin’s AIR Studios. Working with scores by Anne Odell, a friend he knew from the Royal Academy of Music, Thomas added horn and string arrangements, using the Martyn Ford Orchestra. But superb and note-perfect as her arrangements are – qualities that Matovina’s new mixes showcase brilliantly – Anne Odell wasn’t Chris Thomas’ first choice. Thomas had recently produced former Velvet Underground violist John Cale’s Paris 1919. “I knew John was a fantastic orchestrator,” Thomas says, “and I knew I could work well with him.” So he invited Cale to meet the band. Working in the studio, Thomas says that Badfinger were solidly professional; on their off hours, they did partake of illicit substances. And at the time of the Cale meeting, guitarist Molland wore a file or spoon on a chain around his neck. He had just finished making use of it when Cale arrived, “eyes blazing,” in Thomas’ words. With the benefit of hindsight, Thomas agrees with the critical consensus that he did a better job on Wish You Were Here than on the previous album. 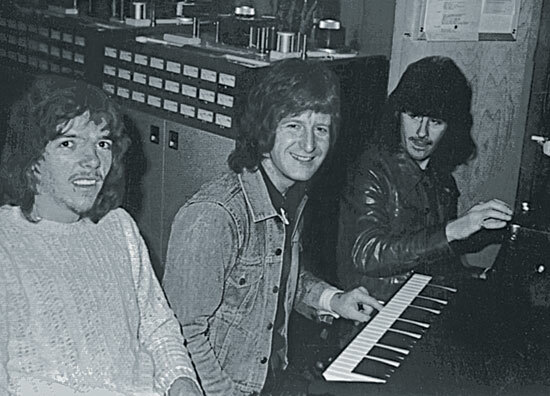 For 1974’s Badfinger, he says, he was presented with “songs which were sort of pre-written, so it was just a question of recording them.” For Wish You Were Here, he took a major role in developing the arrangements (“That’s the main thing I do,” he says), and played a good bit of (uncredited) keyboards as well. And once Wish You Were Here was complete, Thomas knew that the band had something special. “That was definitely the pinnacle of the records that I’d made up to that point,” he says. “Even today, there’s very, very little I would change on it; I loved it. As I say, I was given such free rein that it was really exciting.” Sadly, Warner’s recall of the record from retailers kept the world from hearing Badfinger’s new music.